Our team at DC Electrical have been covering Pudsey & Farsley for nearly 2 decades, and you can rest assured that you’ve found a reliable electrician that will deliver work to the highest standard. Our knowledge and skills are second to none and whatever electrical service you require, we guarantee you top quality materials, outstanding customer centred service and fully certified work. We are NICEIC and Part P approved, which means you can trust that we will deliver on quality and safety, an all our work is fully guaranteed, whatever your requirements. All work begins with an inspection of your premises, a chat about what you want, and a free estimate on all electrical work. 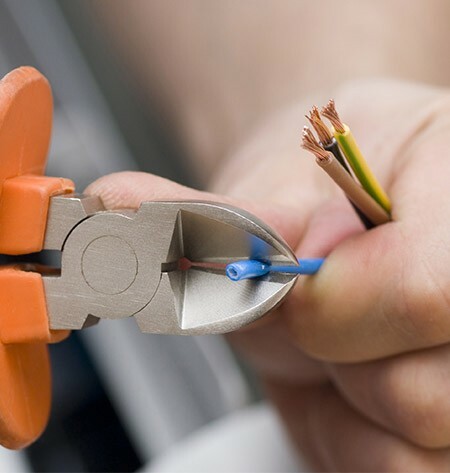 We offer a high quality electrician service at the right price, and all our work is carried out to IEE guidelines, with great attention to detail. We aim to ensure a hassle free turn around wit outstanding results. For more information, talk to the experts in Pudsey & Farsley by ringing 0113 370 9015.